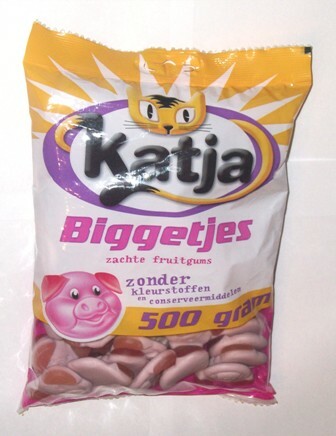 Katja Biggetjes are finally here by popular request! These are soft, light-textured cute pig shaped heads with a delightful fresh berry taste that is very addictive! These are also known as Percy Pigs.